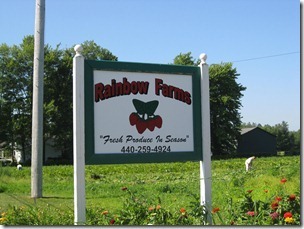 On Thursday, after we finished up at Secor Nursery, we headed up the road to meet some more friends at Rainbow Farms. Turns out, this farm is only 1.4 miles further. Since they don’t open until 10 AM, we had plenty of time for the raspberries first. 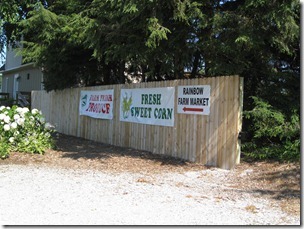 When we arrived, they had just opened the market. 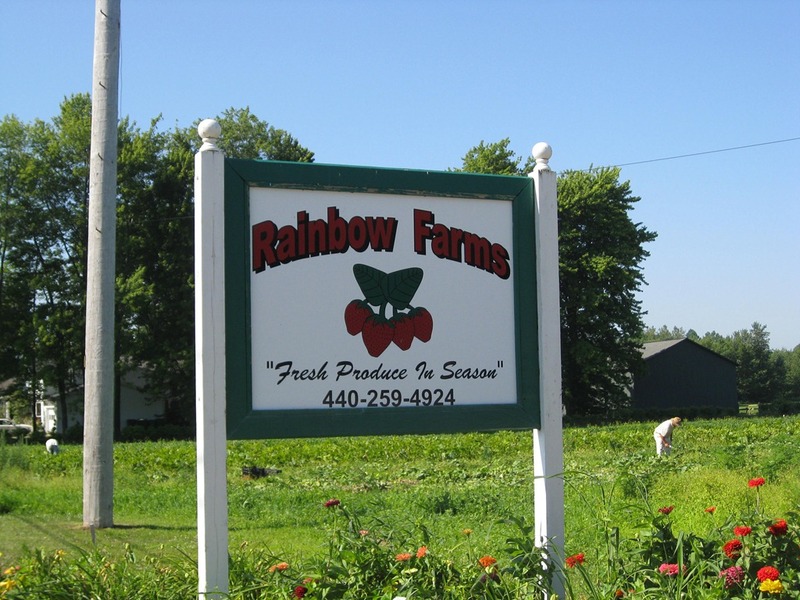 Rainbow was on my list for strawberry picking, but we never made it while they were in season. 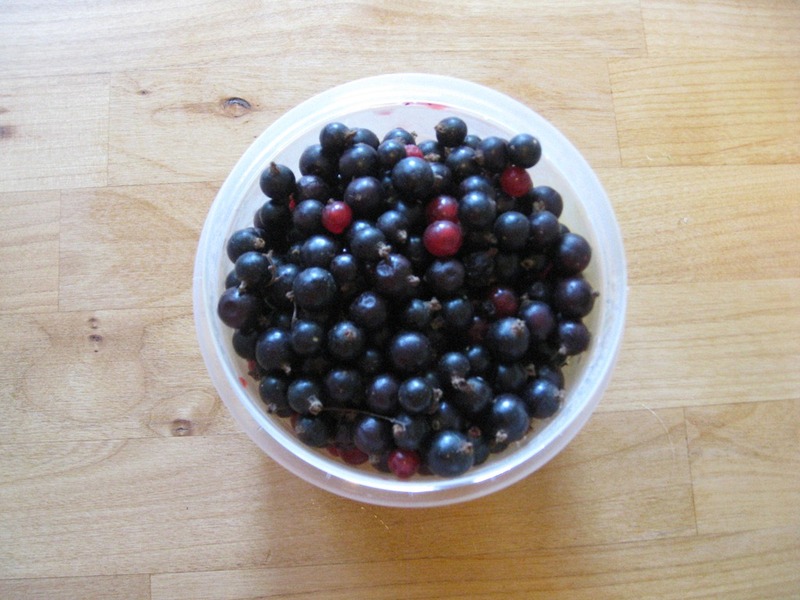 My friend was glad to see that they had currants. The picking wasn’t so great since it was the last week for them. It was also very hot by the time we started picking around 10:30 AM. 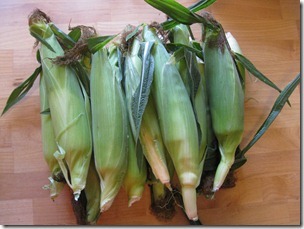 I ended up buying a dozen sweet corn for $5.00 that was just picked that morning. We’ve already had it for 2 meals and it’s outstanding. I also picked up 2 of these squash for .75 each. 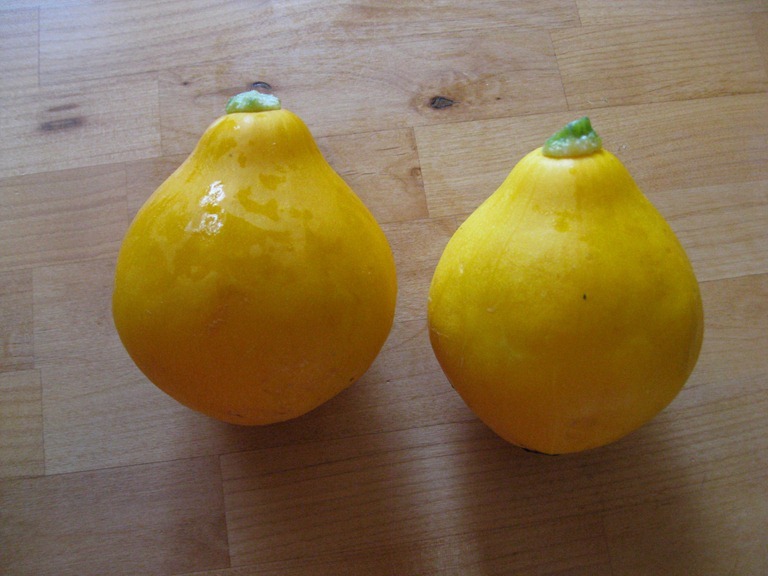 I think they are called pear squash. They are a summer squash similar to zucchini and yellow squash. 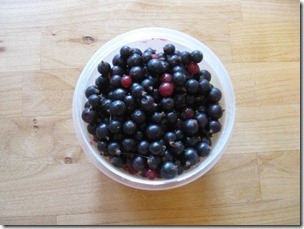 Currants were $2.25 a pound and I ended up with .71 pounds paying $1.60 for them. This is a rather small bowl. Since I didn’t have any concrete planned uses and the thought of taking the kids for slushes seems better than the hot field, I was fine with a small amount. 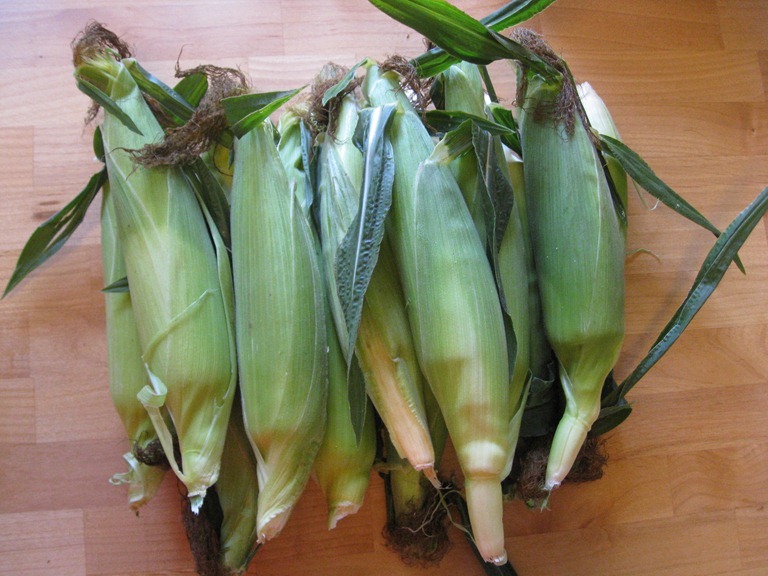 I am planning to cook them in a roast recipe in place of cranberries. We liked Rainbow Farms and will go back in a couple of week for thorn less blackberries.